Is your driveway or patio looking worse for wear? Stained, mossy, dull? 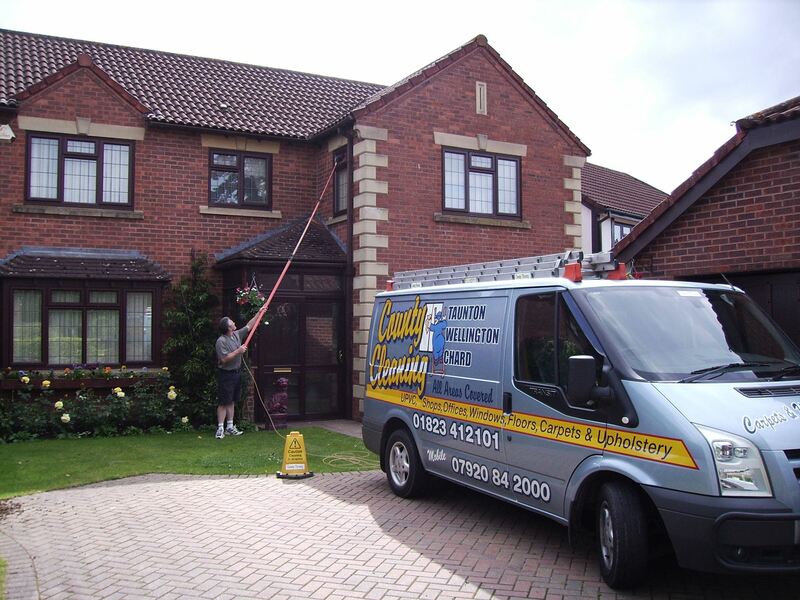 Well, County Cleaning have the solutions to help either the front or back of your property look as good as new. After all, kerbside appeal and garden entertaining spaces are good selling points as well as improving the way you live at home. Unloved drives and pavements on business and commercial sites need just as much attention as no company wants to make a bad first impression! Both driveways and patios accumulate dirt and grime from regular footfall, vehicle use and weather and environmental impact. All this can lead to a build up of the nutrients required to support weed growth, algae and moss. Uneven paving can lead to ponding of water which in the summer encourages flora growth and in winter will ice over, becoming a dangerous slip hazard. 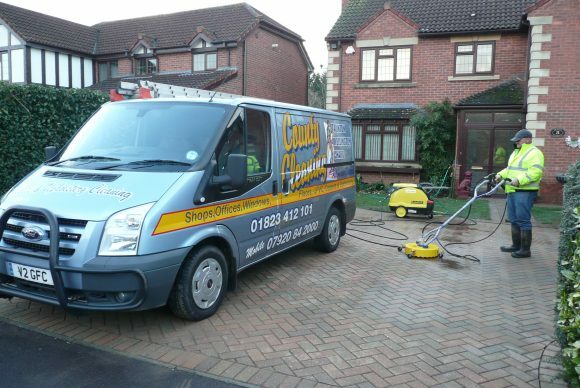 By regularly cleaning the surfaces you will be able to spot signs of unevenness, cracks or damage from surrounding plant or tree roots more quickly. Our trained and experienced team will assess the type of surface prior to beginning work and will carry out any pre-treatment required for stains such as oil or antifreeze. 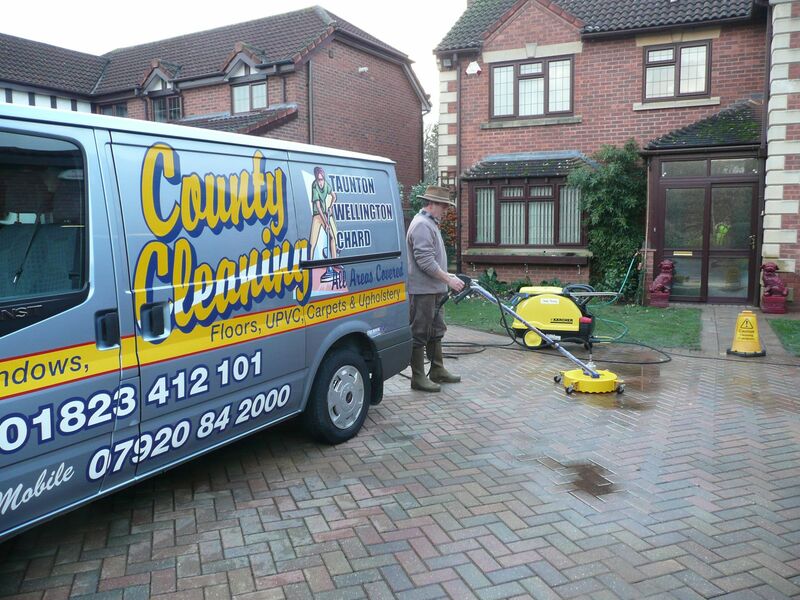 County Cleaning uses a high power jet washing system, essential for the strength to thoroughly clear dirt and debris from your paths and to ensure that your surfaces are cleaned to perfection. For further information or a free, no obligation quote, give us a call and we can discuss your requirements. You can also look at our gallery for examples of our team in action.